Trademark’s success over the past 15 years is due to its employees’ dedication to excellent work, customer service that exceeds expectations, and a safety program that has led to very few accidents. Teamwork, integrity and commitment have empowered Trademark’s workforce since day one, and it shows in our work. Trademark was founded in 2003 by Matt Blitchok, a Master Electrician and Licensed Builder from Oxford, MI. Developed on the idea of being a one-stop-shop company and built on the foundation of hard work, honest business practices and a desire to achieve. 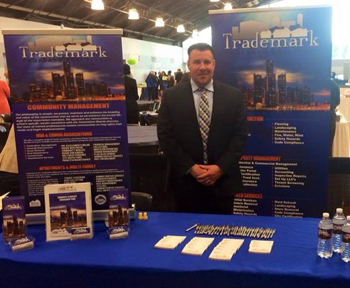 Over the past decade, Trademark has proven to be successful in many areas of the industry and continues to grow. Today Trademark is a full service construction, real estate, property management and field service company capable of taking on type of project across many industries. Our team is comprised of a talented group of individuals who are experienced, take pride in their work and are licensed in many trades. As an 'in-house' company, we hold licenses in the State of Michigan for Real Estate Brokerage, Licensed Sales People, Building, Electrical, Mechanical, and carry many certifications. With a strong foundation in Construction, Real Estate, Property Management and Field Service, our team is committed to quality workmanship, integrity and teamwork! Copyright Trademark Property Solutions, Inc. 2017. All Rights Reserved.